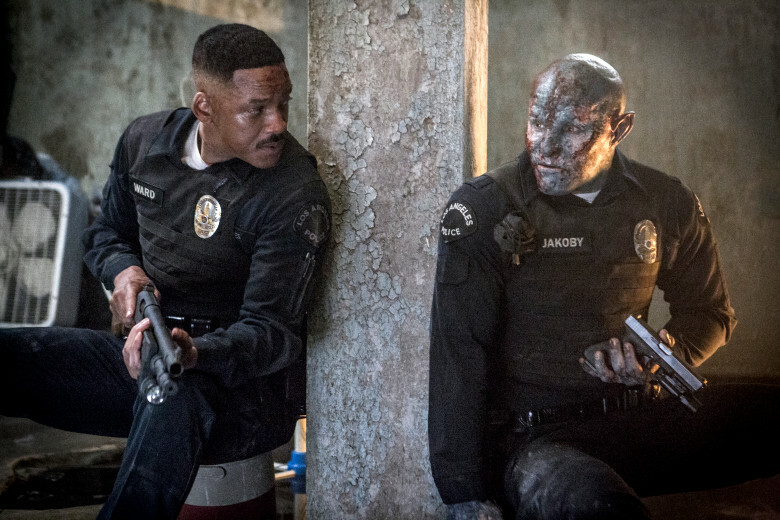 Netflix's first true blockbuster, the $90M fantasy cop thriller Bright, doesn't open for a couple of days and clearly they think it's going to be huge. Why? Because the Will Smith-led, David Ayer-directed flick is already getting a sequel. Bloomberg reports that Netflix is moving forward on Bright 2, or whatever it will be called, with Smith set to reprise his role as LAPD officer Daryl Ward. The original movie finds Smith teamed up with Joel Edgerton, who plays his orc partner, as they investigate some world-threatening case involving fairies and a magical artifact. Max Landis wrote the script, but it's unclear if he'll be also pen the followup. How Netflix came to this decision so early is anybody's guess, but likely they've crunched the numbers and found that their subscribers are really digging the trailers. Or a lot of people are watching Suicide Squad (Is that even on Netflix?? ), the previous partnership between Smith and Ayer. What this amounts to is Netflix potentially building their first franchise, and that in itself is interesting. Bright premieres on December 22nd, and I'm on my way to a screening now so look for my review Friday morning.